I'll say this right off the bat...I'm not the biggest Bob Dylan fan. That's probably my loss. Maybe a few years later, I'll find his complete discography and go through every album and read all his songs and discover what I've been missing...but even if I'm not the biggest fan, even I know the massive impact that Bob Dylan has had on the music world. Don't belive me? 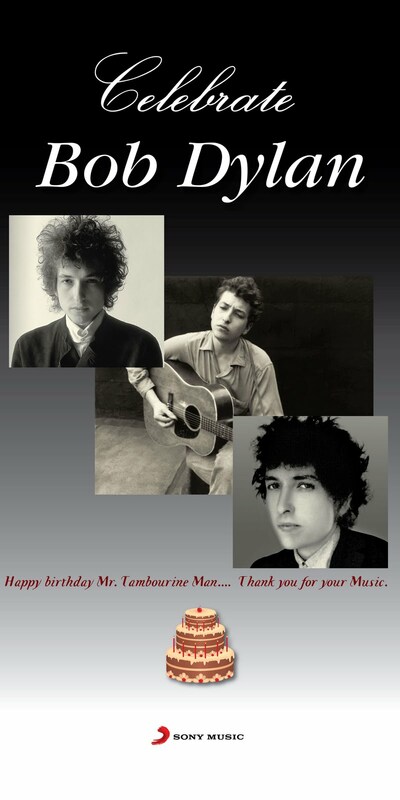 Here...have a look at some of the biggest names in music doing some of Dylan's songs. Oh come on! I had to give you this one twice :) It's BUDDY freakin GUY!! How could I miss him out. And Duran Duran's version was killer too wasn't it? Someone once said "Elvis might never have been born, but someone else would surely have brought the world rock 'n' roll. No such logic accounts for Bob Dylan. No iron law of history demanded that a would-be Elvis from Hibbing, Minnesota, would swerve through the Greenwich Village folk revival to become the world's first and greatest rock 'n' roll beatnik bard and then—having achieved fame and adoration beyond reckoning—vanish into a folk tradition of his own making."